Most people come into a chiropractor’s office in a reactive mode where they have neck pain, back pain or some other symptomatic complaint. You can have an elbow injury, for example, and come and see a chiropractor for a few sessions. After the injury is resolved, you may not feel that you need to return. 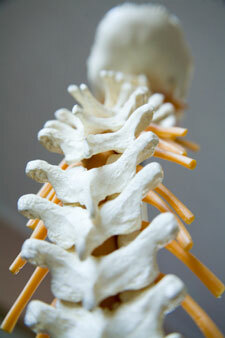 What we’re looking for at Restore Chiropractic is actual spinal alignment, not just symptom alleviation. When your spine is aligned you can experience true and global health. As I just mentioned, sometimes people who experienced a resolution of their pain don’t think they need to come back anymore because they’re feeling better. What they don’t understand is that symptoms often show up far later after what I call dysfunction or disease that’s been present because of a misalignment. A heart attack is a great example of that; in most cases, it takes 12-13 years for a heart attach to “grow.” Often, the first symptom is the heart attack itself with no advance warning. You wouldn’t just brush your teeth once and expect to avoid tooth decay for the rest of your life, right? Likewise, you can’t expect to work out at the gym a single time and stay fit and healthy. The same could be said for chiropractic. One adjustment won’t keep your spine aligned for life. That’s what I refer to as not winning at alignment. Instead, getting adjusted regularly, eating right, brushing your teeth daily, and exercising regularly are all lifelong endeavors. Switching from that reactive mode to a proactive state can keep your body healthy and prevent dysfunction and disease and ultimately bothersome symptoms. The more that you get adjusted, for example, at the beginning of your care plan, the less time it takes to be able to maintain spinal alignment. Most of my patients come in once a month just like most people go to a dentist once every six months. You can wait until you have a root canal and get that fixed and not go back again until you have another one. Or, periodically check in with the dentist and brush your teeth at least twice a day and keep up those good habits. Do the latter and you’ll likely avoid that root canal. Making good-for-you habits an integral part of your wellness lifestyle can make you a winner when it comes to enjoying a healthier, happier life!